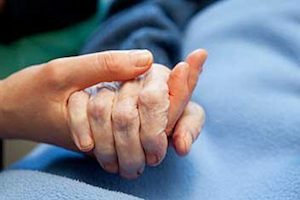 The Sioux City nursing home abuse and neglect attorneys of Nursing Home Law Center LLC defend the right of all people to be treated with dignity and respect by those who are tasked with tending to their medical and personal needs. One of the ways we promote change in the industry is to send a clear message through the aggressive pursuit of justice against negligent facilities while another is to educate the public to common concerns and nursing homes to avoid. We’ve used information provided by Medicare to put together a list of the worst rated facilities in the area so that you can avoid placing your loved ones under their care and send a message that nursing companies that provide subpar care will no longer receive your patronage. Medicare releases publicly available information every month on all nursing homes in Sioux City, Iowa based on the data gathered through inspections, investigations and surveys. Currently, the federal database reveals inspectors found serious deficiencies and violations at three (23%) of the thirteen Sioux City nursing homes that provide their residents substandard care after inspectors found deficiencies and violations. If your loved one was injured, abused, mistreated or died unexpectedly from neglect while living in a nursing facility in Iowa, you have legal rights to ensure justice. We invite you to contact the Sioux City nursing home abuse & neglect lawyers at Nursing Home Law Center (800-926-7565) today to schedule a free, no-obligation case review to discuss a financial compensation lawsuit. Sioux City is recognized by Forbes as an excellent place for entrepreneurs and aspiring small business owners and also ranks among the top places for families due to factors such as cost and quality of living. It is for these reasons that the city is currently experiencing growth and is now the fourth largest city in Iowa with a population of nearly 83,000 people. Seniors make up about 12.4% of the total and as more people prepare for retirement, this portion is slated to rise. The Connections Area Agency on Aging operates multiple senior centers throughout the area so that seniors may have access to education, fitness, social activities and assistance. Services include health screenings, education on senior nutrition, card games, Bingo, access to swimming pools and group events. For more information and to find the center closest to you, you can call (800) 432-9209 or visit http://www.connectionsaaa.org/healthy/senior_centers.html. All of the information our Sioux City nursing injury lawyers used to put together the following list of nursing home is available by using the Medicare nursing home compare tool offered on the Medicare website. We have only covered the worst rated facilities, so if you would like information on a home not listed, you can access the tool at https://www.medicare.gov/nursinghomecompare. It is our hope that by highlighting the facilities cited for repeated mistreatment of their patients that we will help many people avoid placing their loved ones into toxic environments. Primary concerns: Quality measures that are severely lacking and a one star health inspection history are the primary causes for taking pause if you are considering placing your loved one under this center’s care. The failure of this nursing home to address the personal needs of patients and to provide a safe and sanitary environment shows you where priorities really lie here. Primary concerns: This facility is known by Medicare for its numerous health and safety violations and very poor quality measures. Low health inspection scores can signal poor disease prevention measures, increased risk of infection, poor food preparation policies, medication errors and the presence of clutter or obstacles which present trip or fall hazards. Primary concerns: The poor staff quality rating for this facility raises the common concern shared for most for profit nursing facilities of understaffing. It is an extremely common practice for these facilities to reduce staff levels and funding toward ongoing training to reduce their expenses and increase their margins— all at the expense of their patients’ wellbeing and comfort. Primary concerns: The primary demerit worthy of concern for this facility is an abysmal health inspection history. Its quality measures score of merely two stars also raises red flags. Primary concerns: Quality measures and health inspection deficiencies are reasons for concern at this nursing facility as well, making it one to avoid in your search for the right place to care for your loved ones. The last fifteen years have seen a steady rise in the number of nursing injuries and lawsuits filed against negligent centers, so our Sioux City nursing injury lawyers have tried to determine what is behind this sharp rise in incidents in the hope that positive changes can be affected in the future. It comes as no surprise to us that the severe reduction in government funding for nursing facilities over the last two decades has given rise to the departure of many non-profit facilities. For profit nursing chains are nearly ubiquitous now; over 70% of nursing facilities today are run by for profit entities. This was not always the case, but the continuous slashing of funding by lawmakers in Washington has made it difficult for non-profits to be able to offer quality care to their patients. While for profit facilities have taken on more risk, they are also prone to greed and have repeatedly placed their bottom lines as a priority over delivering the respect and quality of care we all demand for those we hold dear. There is no excuse for systemic neglect that occurs due to the unwillingness of nursing centers to invest in quality measures, training or maintaining their properties in order to provide a safe and sanitary environment. If your loved one has been injured or you suspect that he or she is being mistreated or neglected, we would like to hear from you so that we can help you determine the appropriate course of action. Nursing Home Law Center LLC has helped thousands of clients just like you across the entire country and our specialized experience and knowledge is what gives us the greatest chance of recovering compensation on your behalf. Contact us today to arrange a free consultation with one of our award winning Sioux City nursing home abuse and neglect attorneys so that we can review your legal options and determine whether you have grounds to take legal action. Should we be unable to help you secure damages, you are assured that our services will be free of charge.